For this example, I am using the SparkFun ESP32 Thing. In general, boards with the ESP32 have been selling out quickly and are in limited stock. So, if you can find one, buy it! Currently, PlatformIO is the easiest way to start working with an ESP32 board. It automagically installs all the libraries needed, and it is filled with other goodies like linting. 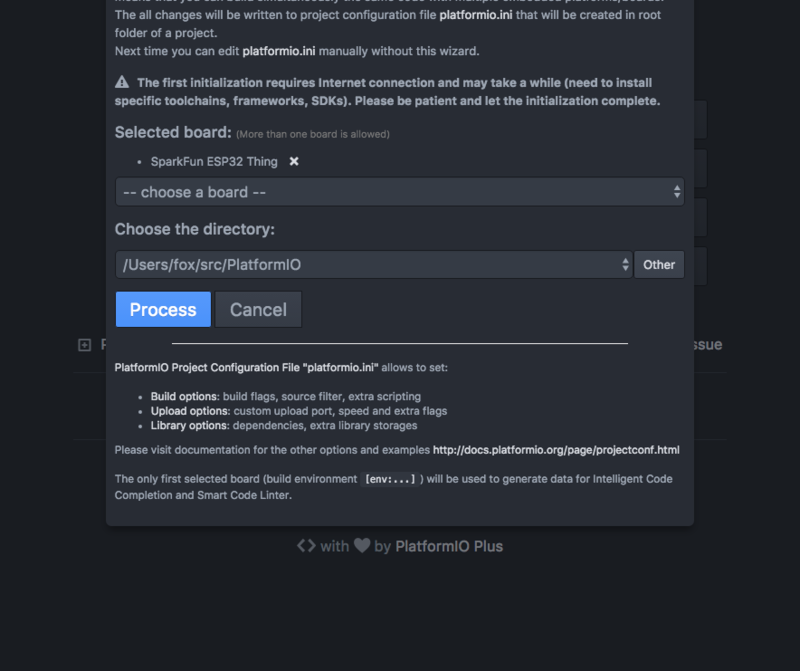 Installing PlatformIO is pretty simple because it is built on top of the Atom text editor. You can also see their full ESP32 support here: PlatformIO espressif32. There is an IDE bundle that will install everything for you. 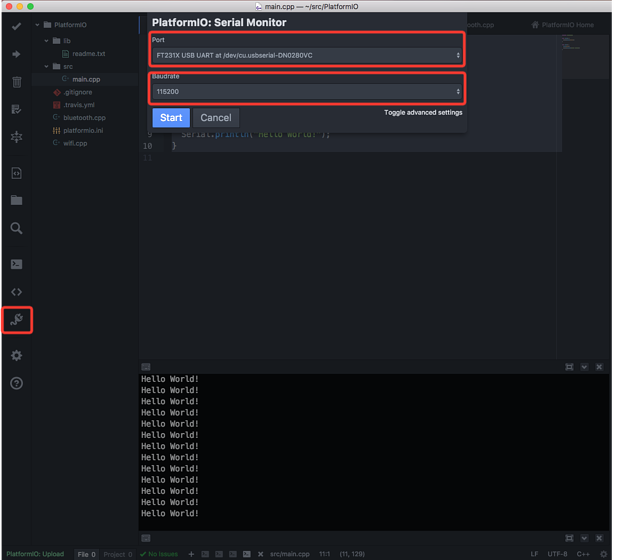 You can find that here: PlatformIO IDE Bundle. 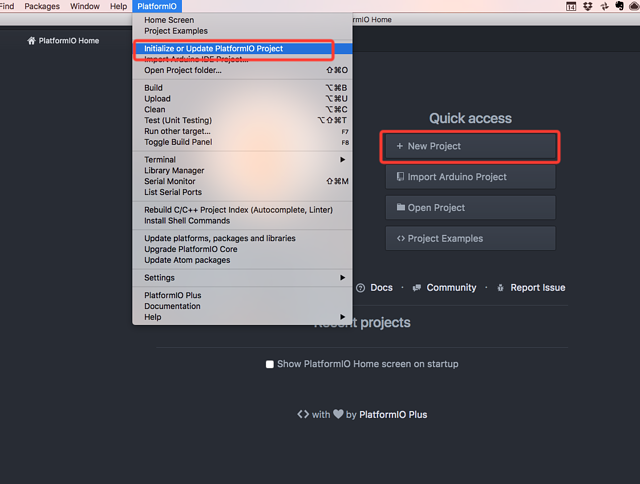 Once you've successfully installed PlatformIO, Select "New Project" from the home screen or "Initialize or Update PlatformIO Project" from the menu. Then, choose your board and project location. In this case, since I have the SparkFun board, I will choose that one. After you hit "Process," PlatformIO will install all the necessary libraries needed to start flashing the device. If you're not familiar, all Arduino code has two functions: setup and loop. Setup runs once and loop runs in a loop. So, this program will print "Hello World!" every second. Now, it's time to flash your device. To see our message, we need to open up the Serial Monitor. Once you press the serial monitor icon, a dialog will pop up asking you to choose a port and a baudrate. On Mac and Linux, the port will be something like: /dev/tty.usbserial-XXXXXX. For Windows users, it will be: COMX. 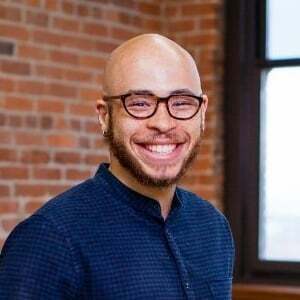 Your baudrate is defined in the main.cpp file as 9600. So, we will need to use that. Here we are setting up two configuration variables: WIFI_SSID and WIFI_PASSWORD. You should update these with proper values. Then, using some standard connection code, we connect to the WiFi that's configured. Make sure you verify the WiFi credentials. 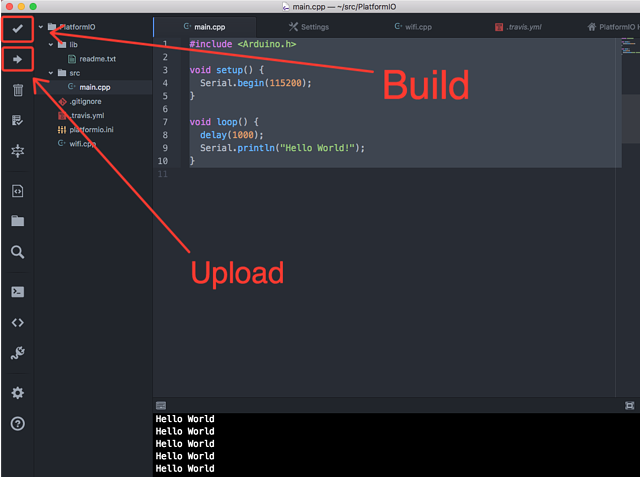 Then, as we did before, build and upload your code. With the ESP32 libraries installed, you should be able to start using this board for your connected projects. If you can, contribute back to the community; all help is needed. The Arduino ESP32 library is still in active development. Currently, there is no interface for Bluetooth yet. Once it's available, I will add an example to this tutorial. Update: There isn't complete Bluetooth support yet. However, some simple functions are available. Getting Started with the C.H.I.P. Did I miss anything? Feedback? If so, let me know in the comments. I would love to hear your thoughts.